Electrophysiology, or more popularly cardiac electrophysiology, are tests used to study the electrical activity of heart used in the diagnosis and treatment of the abnormalities in heart rhythms notably arrhythmias The studies have gained wide acceptance in clinical diagnostics for understanding the cause of arrhythmias. The use of the tests correlates well with the use of non-invasive technologies for treating arrhythmias notably atrial fibrillation, ventricular tachycardia, and atrial flutter. The tests are a useful guide to general and interventional cardiologists to design optimal treatment plans to manage irregular heartbeat conditions, including potentially serious ones. Rapid advances made in cardiac electrophysiology over the past few years have underpinned evolution of the market. The large magnitude of healthcare burden that atrial fibrillation (AF) brings is a key factor catalyzing the market’s growth. The rising incidence and substantial prevalence of atrial fibrillation is a key factor driving the electrophysiology market. AF has emerged as a global health care problem, especially in developed nations, with several risk factors such as hospitalization, thromboembolic events, and heart failure. Constant advances in EP technologies have led to the advent of novel devices such as 3D mapping systems, remote steering systems, and irrigated-tip RF catheters. The rising demand for these tests in baby boomer cohorts is also fueling the expansion of the electrophysiology market. However, increased preference to pharmaceutical interventions to ablation and the paucity of skilled electrophysiologists are factors that constrain the market to witness its full potential. Nevertheless, rapidly aging populations with high blood pressure is also catalyzing the demand for electrophysiology tests. The advent of innovative technologies and modern procedures has helped expand the prospects of the electrophysiology market. The adoption of a combination of procedures has a positive bearing on current ablation methods. A key challenge in developing an effective ablation strategy for treatment of ventricular arrhythmias is identification of the areas of the heart responsible for such abnormalities. Ventricular arrhythmia is one of the main causes of sudden cardiac death and hence a key factor of mortality in patients with ventricular tachycardia. A recent research has found that combining functional imaging with structural imaging of patients helps doctors identify the tissues in heart that are more prone to the condition. The study tested the effect of combining magnetic resonance imaging with a specific type of SPECT imaging on 15 patients with ischemic cardiomyopathy. Ablation of ventricular tachycardia has become established itself as an effective treatment for patients who have had heart attacks. Hence the findings of such studies help improve the outcomes. On the regional front, developed regions are expected to contribute sizeable shares of revenues to the global electrophysiology market. 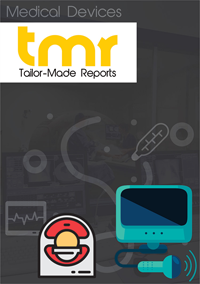 Increasing prevalence of cardiac arrhythmias and rapid uptake of innovative electrophysiology procedures are expected to bolster the expansion of the North America electrophysiology market during the assessment period (2018–2026). The growth is also propelled by rising demand for cardiology interventional procedures across the regional population. On the other hand, Asia Pacific is likely to hold vast potential in the global electrophysiology market. The growth is fueled by vast unmet needs and rising awareness about the procedures to reduce the risk of heart attacks in patient populations in numerous emerging economies. Prominent manufacturers of electrophysiology devices are constantly bringing advancement in technology aimed toward improving the contemporary ablation strategies. Several players in the electrophysiology market are also likely to shift their attention toward unmet needs in emerging economies across the globe. Some of the key players are Abbott Laboratories, Biotronik SE & Co.KG, GE Healthcare, Medtronic, Inc., Boston Scientific Corporation, and Biosense Webster, Inc.